Oysters are a delicacy with a strong taste of the sea and are a lot more versatile then you might first assume. They can be served raw as a canapé with a little dressing, alternatively they can be grilled, poached, fried or steamed. 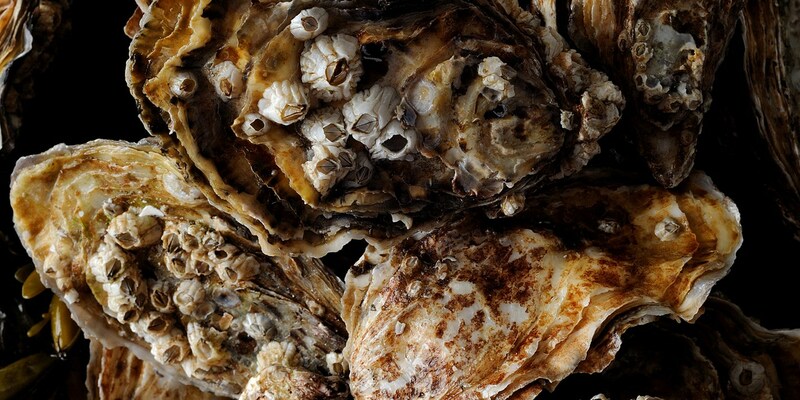 Our collection of oyster recipes has some real pearls. Keep it simple with Bryan Webb's oysters with laverbread, or if you are entertaining, Chris Horridge's oysters tempura are the perfect appetizer. Oysters are the most evocative culinary symbol of passion, so naturally we have romantic starter ideas to help impress on a romantic evening. The stunning Scotch langoustines with oyster purée recipe by Adam Simmonds is a beautifully presented, tasty oyster dish, that will please the even the fussiest of dates.